Holly Madison takes the stage in Las Vegas during a special encore performance of MILLION DOLLAR QUARTET on Dec. 4 at 7 p.m. in the Harrah’s Las Vegas Showroom. For one-night-only, Madison will perform the Elvis Presley and Ann-Margret duet “The Lady Loves Me” from the hit movie “Viva Las Vegas” alongside the cast during the finale. 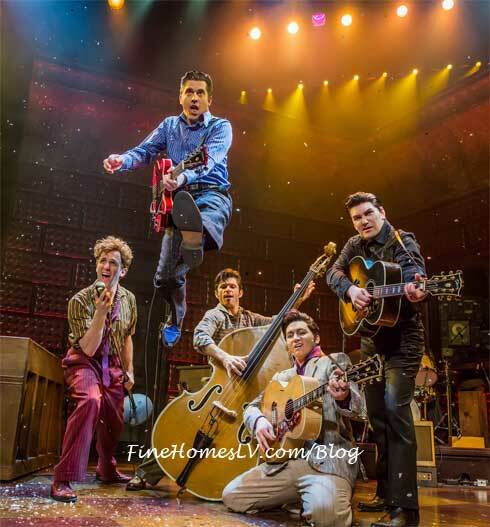 MILLION DOLLAR QUARTET musical celebrates its grand opening at Harrah’s Las Vegas tonight. The smash-hit production is inspired by the extraordinary true story of the fateful evening that brought Johnny Cash, Jerry Lee Lewis, Carl Perkins and Elvis Presley together for one of the greatest rock ‘n’ roll jam sessions in history.